It was a crisp autumn day, and I was craving, if not exactly food that nurtures, then certainly food that fattens. 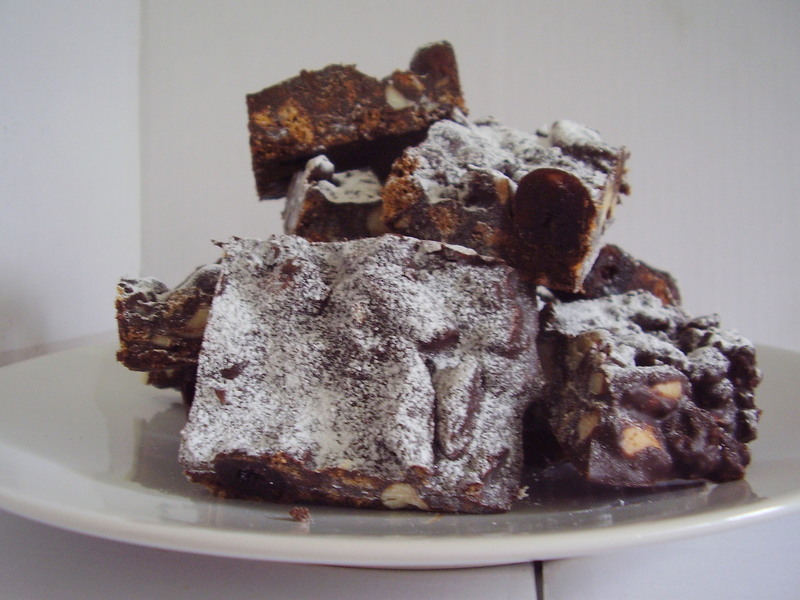 The perfect time to try out Nigella’s Christmas Rocky Road. 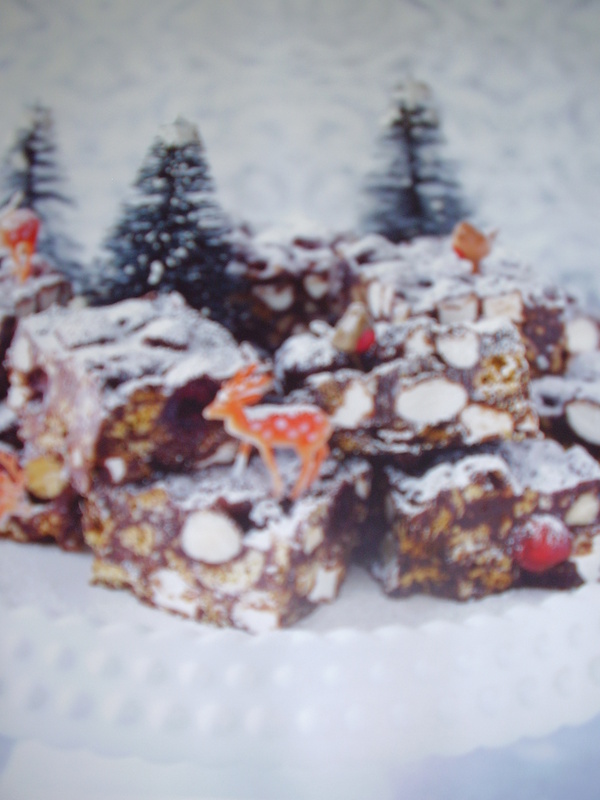 The good folks over at the BBC have the recipe here, but it’s in Nigella’s Christmas recipe book. It’s basically an assembly operation, but I’ll go through it with you sharing my know-how tricks and cheats. 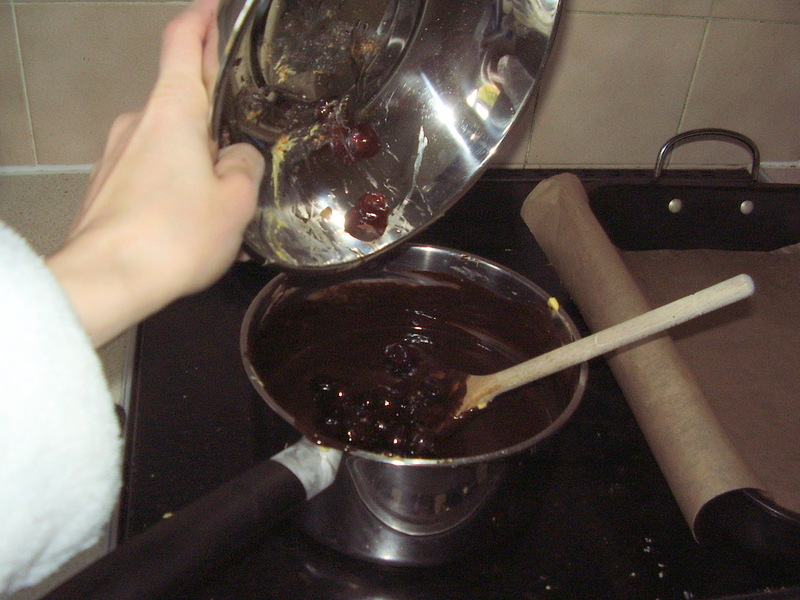 Heat up the chocolate, butter and golden syrup in a pan. 2 tricks here: break up the chocolate still inside the packet (whack it on the work surface, or try and roll up the packet, use it as a fly swat etc.) 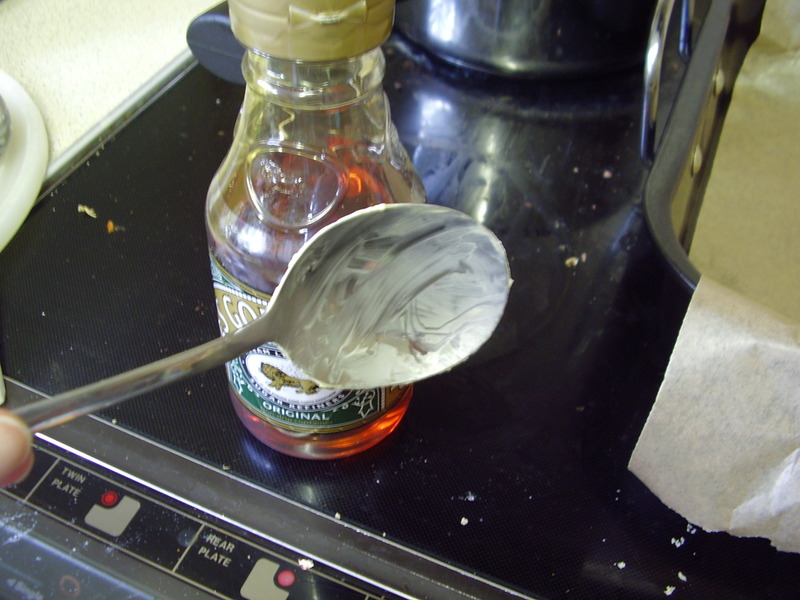 because it makes much less mess; and grease the spoon before measuring out the golden syrup, then the syrup comes off easily. 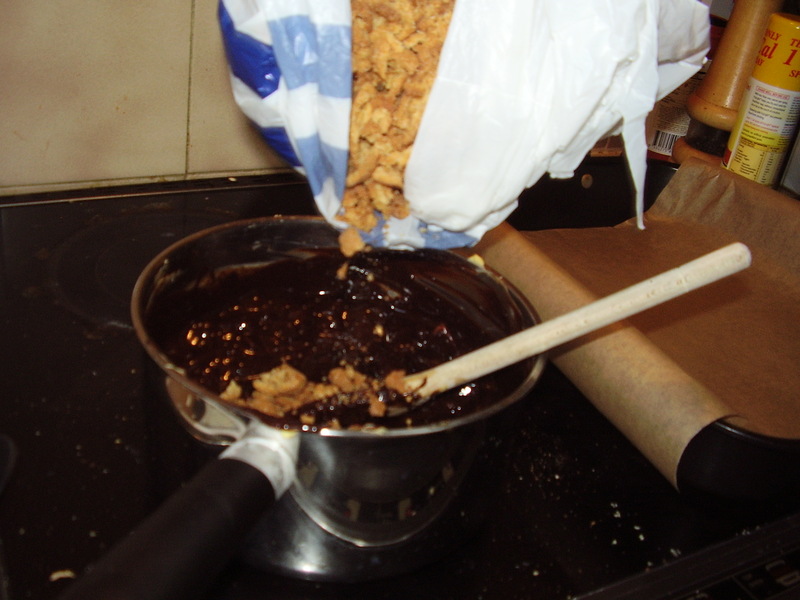 Then measure out the other ingredients to add to the chocolate mixture (I missed out marshmallows because my husband calls them the sweets of Beelzebub). 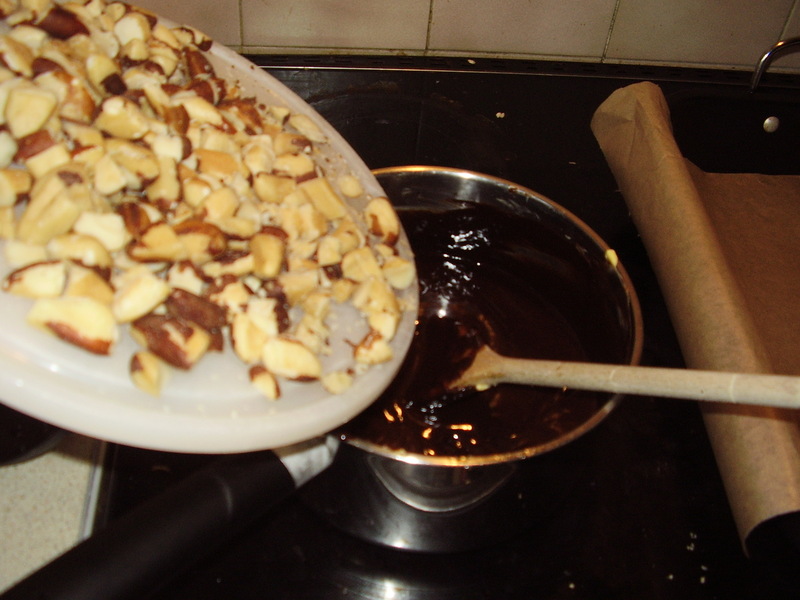 The amaretti break up nicely with a rolling pin, however, when I bashed the Brazil nuts, they just broke the bag and flew out everywhere, so I resorted to chopping them. Tip all the extra ingredients into the pan and stir well to mix. Pour into a lined tin and refrigerate for about 2 hours until set. 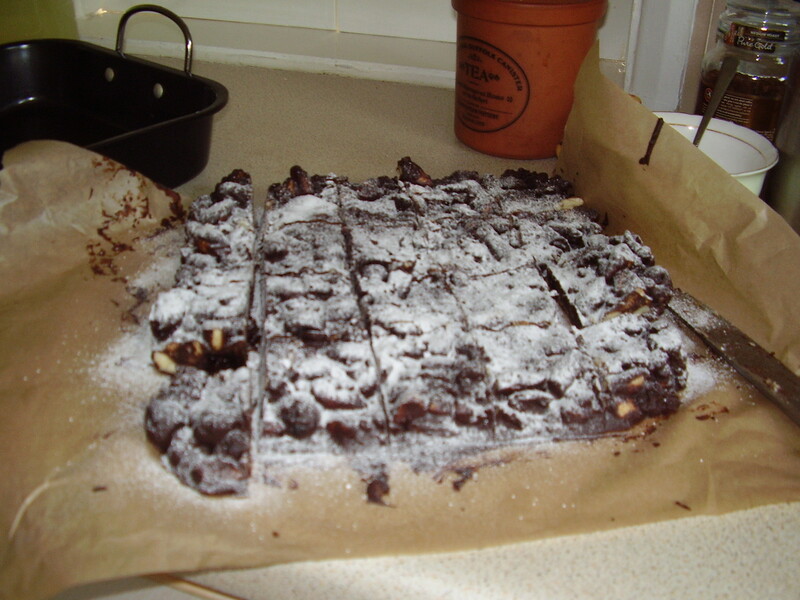 Cut into squares and dust with icing sugar. (The mini sieve really comes into its own here). Thanks! Apparently they were tasty too, but I can’t eat them on my dairy-free diet! Previous PostPrevious Newsflash! Or should that be Moosflash?